It was sometime in the last week of March 1996 but Vijay Lal Dahot, 64, remembers it as if it were yesterday. He had just expressed his desire to hang up his boots — or apron, in his case — to take care of his old parents in India when his employer, Maghanmal Jethanand Pancholia, one of the oldest Indian expatriates in Dubai and founder of MJ Group, called him to his room to enquire about his retirement benefits. “He was sitting on his bed. He asked me: how much do you want?” Dahot recollects, perched on a stool in his house. As was his wont, Dahot responded that he would accept whatever would be given to him. 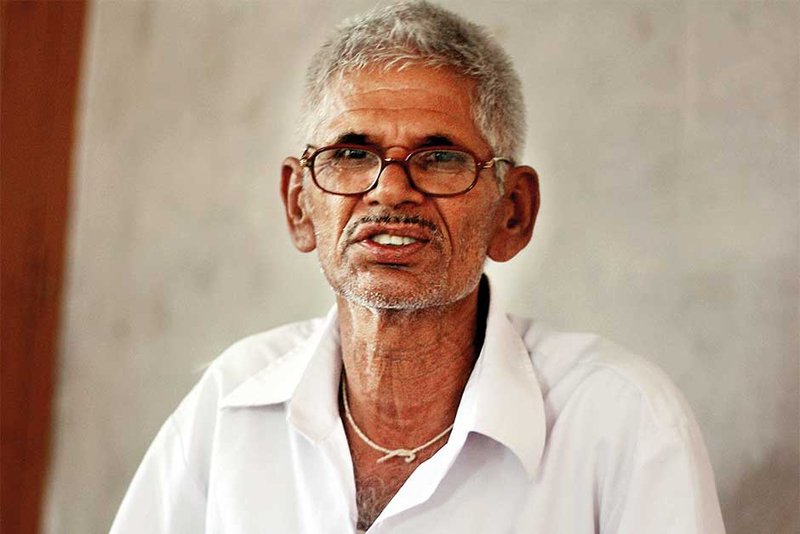 Dahot had no idea then that besides paying him a retirement amount, Pancholia had decided to grant him a wish he had expressed earlier: to improve healthcare facilities in his village. He had asked for the construction of a hospital in Menar, a sprawling village located on the Udaipur-Chittorgarh road about 45km from Udaipur, a city in Rajasthan state of western India. Pancholia asked Dahot to send him an estimate for the cost of the hospital in a letter after reaching India. But a few months later, the school administration in his village coaxed him to first communicate an estimate for the school’s development. “The school was in dire straits. The rooms were not adequate. There were no washrooms, drinking water facility [or] boundary wall,” Dahot recalls. He sent the letter in September that year. Around Diwali in November, he received a call from Pancholia informing him of Pancholia’s arrival in India next day. The next year, Pancholia transferred approximately Rs1 million (Dh54,850) in two instalments into Dahot’s bank account. The money was spent on the construction of classrooms, washrooms for boys and girls, laboratories, a corridor, fans, electric fittings and the boring of a tube well. The school’s construction was completed in 2002 and allowed it to upgrade from Grade 10 to senior secondary level. Even when construction of the school was going on, Dahot took up the issue of the hospital and a village community hall with Pancholia. For this, Pancholia advised him to set up a trust. In 2002, Dahot registered a 9-member committee in the name of Shri Matra Shakti Gram Sewa Samiti (loosely translated into ‘maternal power village service committee’) with the state government. 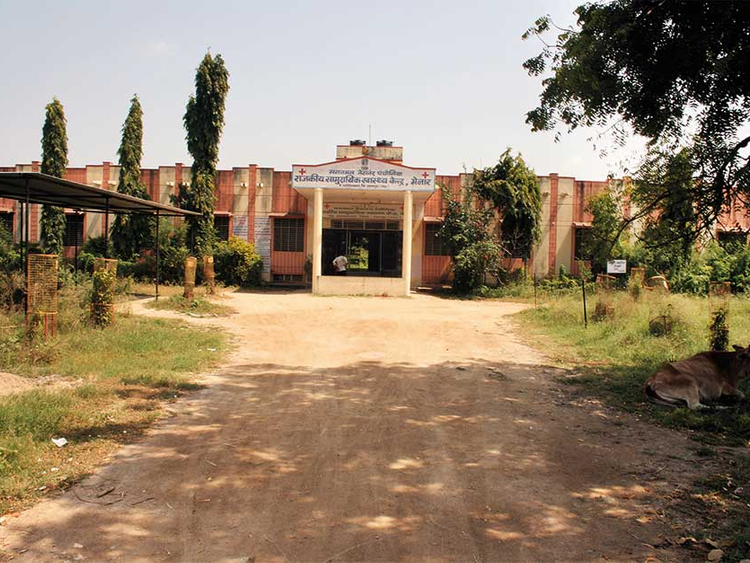 Subsequently, the village panchayat (council) transferred land meant for a pond for the hospital. Pancholia paid Rs9 million into the trust’s account and also donated Rs3.5 million for construction of the community hall. The construction of the 32-bed hospital was completed in 2006. Dahot claims it caters to around 80,000 residents in the 25 adjacent villages. It has four doctors, three nurses and is equipped with an operating theatre and a delivery room. Two of the doctors are available around the clock. Dahot believes that Pancholia’s philanthropic work in his village has earned him great respect among the community. He treasures his association with the business family. Pancholia, he notes, has visited the village thrice with his family. “This is much more satisfying. What would I have done with personal capital?” he asks. The community hall is still incomplete, however, and the school needs more rooms now. Dahot has once again written to Pancholia requesting he donate another Rs2.5 million for the two projects. He is still waiting to hear from him. Dr Lalchand Maghanmal Pancholia, the elder son of Pancholia, attributes his father’s largesse in Menar to a couple of reasons. Firstly, this is the Pancholia family’s way of fulfilling their obligation towards their roots. The Pancholias, Dr Lalchand points out, migrated to Thatta in the Sindh Province of Pakistan (then part of undivided India) from Jaisalmer in Rajasthan 500 years ago. “We are basically Bhatias from Jaisalmer. We frequently go to Nathdwara (65km from Menar) to worship in Shrinathji temple,” he says. Secondly and more importantly, Dr Lalchand adds, Dahot earned the donations on the basis of his service to the family for 15 years. Dahot moved to Dubai in 1981 after having worked with different families in Mumbai for over a decade. He followed his cousin, who was a priest in a temple in Dubai run by the Mercantile Hindu Community of Thatta where Pancholia was a functionary. Currently, Dr Lalchand is chairman of the organisation. In fact, once upon a time all of Dahot’s brothers worked with Pancholia either at his residence or in his business. 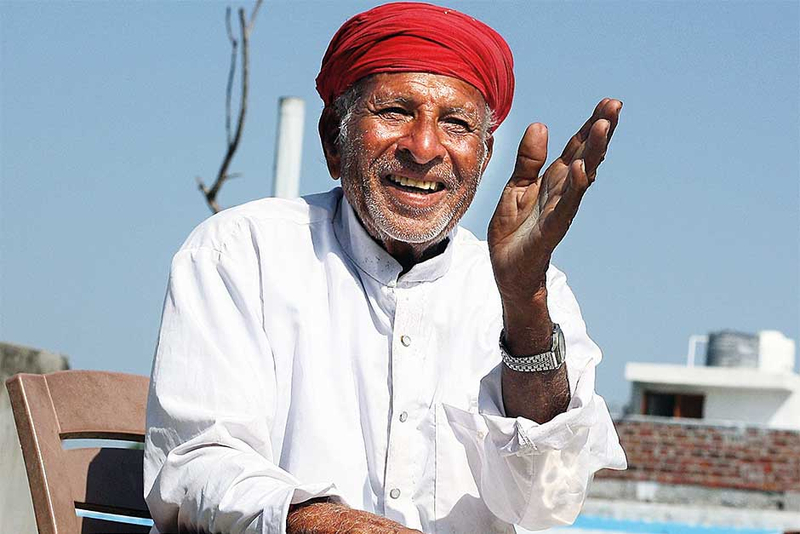 After Dahot’s retirement, his younger son Deep Lal also worked in the nonagenarian’s Orient Watch Company as a storekeeper for some time. Apart from owning the watch company, the Pancholias have business in structural steel items, household appliances and electronics. Pancholia migrated to Dubai in 1942 when the city struggled with drinking water supply and had no electricity. Pancholia set up an electricity company and supplied electricity to the city from 1957 to 1960. He has been contributing generously to charities for a long time, including to Dubai Cares, a philanthropic organisation working to improve children’s access to quality primary education in developing countries, as well as to other groups working for disabled children. When Dahot arrived in Dubai in 1981, he was the second person from his village to have set foot in then the UAE’s most populous city. Today, there are a about 500 people from the Vallabhnagar subdivision that Menar is a part of working in the UAE. Out of these, 350 are cooks. Close to 150 of these cooks are from Menar village alone. Dubai is the most popular destination for Menaria cooks due to its non-insistence on English language skills, low crime rates, relatively inexpensive airfares and great freedom to earn one’s livelihood. This is Mama’s second stint in the Emirates. He first worked in a Dubai restaurant from 1993 to 2002. In 2012, he once again migrated to the city after having worked for close to a decade with Hina Tours and Travels, a domestic tour operator jointly headed by Prabhulal R. Joshi, a resident of Menar village, and Gujarati businessman Jitendra N. Shah. “Travelling to a place like the United Kingdom will cost anything between Rs70,000 (Dh3,800) and Rs80,000. In Dubai, one can buy a return ticket to Mumbai at times for [as little] as Rs10,000. Besides, [in the] UK it is mandatory for one to know the English language,” says Mama. An overwhelming majority of cooks from the Menar region are semi-literate, having dropped out of school at different stages. None of them holds a diploma in cooking. They take to cooking very early, sometimes when they are only teenagers. A large number of the Menaria cooks are employed either by billionaires like the Ambanis and Hindujas, both in India and outside, or by celebrities from the Hindi film industry, and often earn six figures in Indian currency. For instance, Poonam Aklingdasot, 78, of Menar village, retired from the house of the late Dhirubhai Ambani and also worked in the kitchen of legendary singer Lata Mangeskar for some time. Yashwant Menaria, 28, also a cook from Menar, is still employed with the Hinduja brothers in London. Barring a few exceptions, all the Menaria cooks are Brahmins, an upper caste in the Hindu religion. They are a favourite of Indian billionaires because the latter also belong largely to vegetarian Hindu castes and hail either from Gujarat or Rajasthan. The cooking profession has been a preferred choice for Menarias for over half a century, or perhaps even longer, but it has proliferated more since Prabhulal R. Joshi floated Hina Tours and Travels in 1987. According to Sunil Menaria, its head in the North India sector, the company employs around 200 people from the region, many of them as cooks. Menaria chefs, who are scattered all across the globe, can cook Rajasthani, Gujarati, Punjabi, Mexican, Italian, Thai, Chinese and Continental. Of course, all in their vegetarian avatars. Narendra Kaushik is a writer based in Uttar Pradesh, India.